The “MMAtwo” project, which aims at improving Polymethyl methacrylate (PMMA) recycling technology, has been selected by the European Commission within the SPIRE-10 call to receive funds from Horizon 2020, the EU Research & Innovation programme (2017-2020). The project could unleash a significant recycling potential and turn the PMMA consumption model from a linear to a more circular one. PMMA is a very durable, solid and versatile plastic that can last up to 20 years and which is used in a number of applications from architecture and automotive to transportation. The project coordinated by the Dutch company, Heathland, was launched on 1 October 2018 for a four year duration. 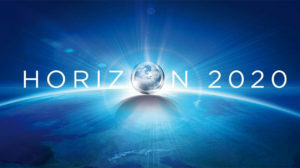 It is supported by a 6.6 M€’s funding from the European Union Horizon 2020 Research and Innovation programme. MMAtwo collaborative consortium gathers 13 partners from six different countries. The project aims at developing a new and innovative process to recycle post-industrial and end-of-life PMMA waste into second-generation MethylMethAcrylate (MMA) raw material. Recycling only 10% of the PMMA produced in Europe could enable the industry to manufacture an additional 1 billion € worth of the product. The Cefic/ Petrochemicals Europe’s Methacrylate Sector Group will take an active part in the project and sit on the Advisory Board. and Ayming a French consulting group supporting the project management, communication and dissemination activities. For more information, please consult the SPIRE 10 call on the European Commission’s website and the PMMA website.